Are you thinking about learning to play the banjo? The banjo is a fun instrument and is perfectly suited for genres like folk, country, bluegrass, rock, jazz and others. These days you can even hear banjo being used in rather unconventional ways. For instance, consider the example of Steve’n’Seagulls playing AC/DC’s “Thunderstruck”. So, if you want to get creative and innovative with it, you can! Naturally, if you’re going be picking up the banjo, you should own one. It can be a nuisance constantly having to borrow or rent one while you’re learning to play. It’s important to develop a consistent practice routine, because realistically that’s the only way you’re going to get better at it. That can be hard to do without a banjo to practice with. Additionally, it can be helpful to purchase a banjo that isn’t just cost-effective but is also a reasonably good instrument. It’s not much fun playing a banjo that doesn’t sound good, hasn’t been set up correctly, doesn’t have good intonation or requires frequent tuning. What you need is a dependable instrument. Fortunately, these days, it’s not hard to find a good instrument for an acceptable fee. Here are the best banjos for beginners and intermediates. Looking For A 6-String Banjo? 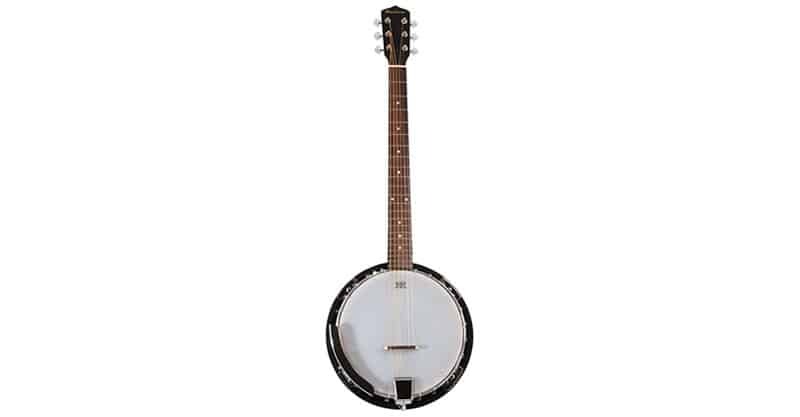 What Should I Look For In A Banjo? What Types Of Banjos Are There? For most players, a five-string banjo is recommended. There are also four- and six-string banjos, but I’ll be talking a little more about that later. When you think “banjo”, you’re probably thinking five-string, whether you know it or not. So, a five-string is the best choice in most cases. Here are some of the best five-strings for beginners and intermediates. If you’re looking for an instrument that’s economical and of good quality, the Jameson Guitars five-string banjo is a good pick. 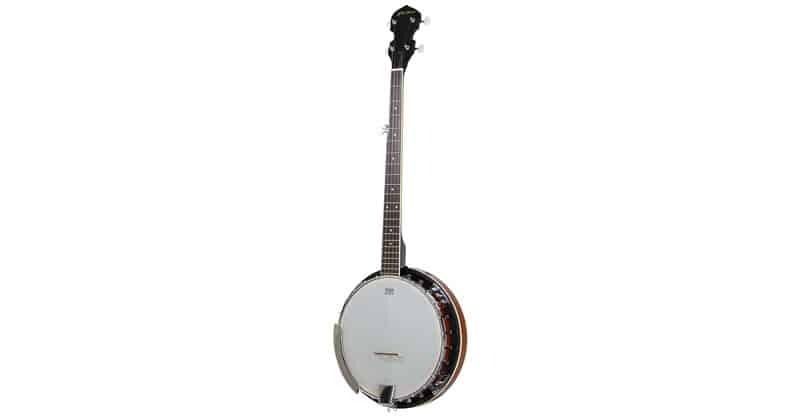 This banjo comes with a mahogany resonator, adjustable tailpiece and maple bridge. Pretty impressive considering its low price. On Amazon, the Jameson Guitars banjo has a great rating. 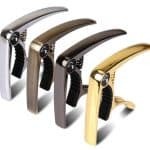 Some users suggest replacing the tuning machines for optimal performance. But aside from that, most customers seem impressed with the product. This banjo should make for a great practice instrument. The Resoluute banjo is essentially a direct competitor to the Jameson Guitars banjo just mentioned. It comes with a resonator mahogany closed back, 24 brackets, Remo drumhead, maple fingerboard and a bonus banjo book with chord charts. With a close to top rating on Amazon, this is a surprisingly good banjo for the price. It certainly wouldn’t stand up to a higher priced banjo, but it sounds good and plays well. The Resoluute is a good practice banjo, so if you’re not looking to spend a lot right now, this might be just what you need. The Pyle banjo comes with a white jade tuning pegs, rosewood fretboard, polished rich wood finish, Maplewood bridge stand and a truss rod adjustment tool. This Pyle instrument has a respectable rating on Amazon and is probably among the most affordable. Some customers felt it would be best to replace some of the parts to get the most out of this banjo. Fortunately, making modifications isn’t that challenging. Again, you get what you pay for, but if you’re not looking to spend a lot, this banjo will do the trick. Are you prepared to spend a little more money on your banjo? If you’re an intermediate player, then your answer might be “yes”. 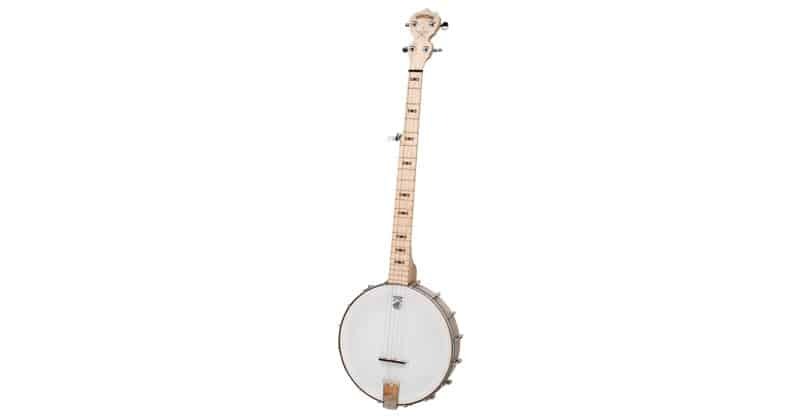 The Deering Goodtime banjo might just be what you’ve been looking for. The Goodtime comes with a low-profile 22-fret rock maple neck and hardwood bow tie inlays, sealed and geared tuning machines, 5/8-inch maple/ebony bridge with adjustable tailpiece, three-ply, 11-inch maple rim with steel tension hoop and high crown head, and a six-year warranty. Reportedly, this banjo has a clear, bright sound. It is a highly playable instrument with good intonation. On Amazon, the Deering has solid rating. Many users say it should come with an armrest, but aside from that it’s a great instrument. Here’s another good option for intermediate players or beginners who are looking for something more. 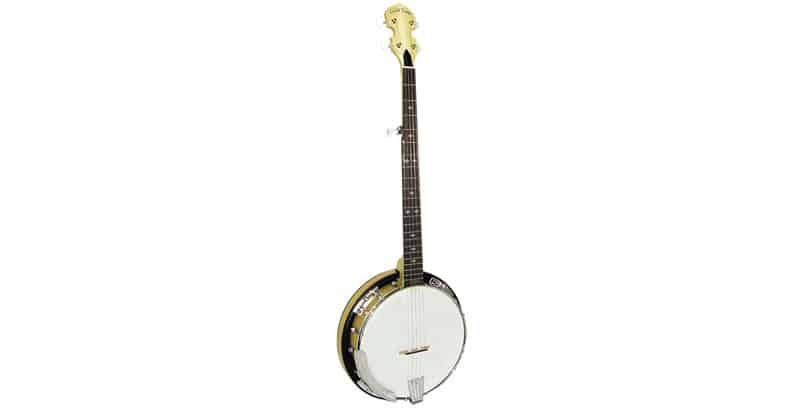 The five-string Gold Tone CC-100R banjo comes with a maple neck, maple resonator, maple tone ring, brass truss rod, two-way adjustable tailpiece and more. 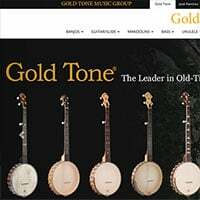 Gold Tone is a well-known name in the banjo world. As such, this instrument has a great tone and is highly playable. A great choice for beginner and intermediate players. Again, while you might pay a little more for it compared to other instruments already mentioned, it’s good value for the money. There aren’t any negative comments with much substance on Amazon, which is a good thing. So, this is another instrument worth looking into. Oftentimes, four-string banjos fall under the category of “banjo ukuleles”. But there are legitimate four-string banjos, which are typically used for chordal accompaniment, chord melody, single note melody and so on. While they might be a tad unusual, they can be a little easier to figure out because there is no fifth string starting at a higher fret. Again, while I recommend beginners pick a five-string banjo, a four-string banjo can still be practical and fun. And, intermediates might find it interesting as well. The Trinity River TRTB1 is a good pick based on its price as well as its simplicity. It comes with a custom fit gig bag. Most customers have said the Trinity River instrument is a good banjo for the price, though some have voiced concerns with setup. Six-string banjos are close to guitars. So, if you already know how to play the guitar, but you just want to get that banjo sound, here’s an easy way to transfer over to the banjo. This is not a great instrument for beginners, as the added string makes it harder to master – not easier. But for guitarists, this can fast track your learning process. People often refer to six-string banjos as “banjitars” or “ganjos”. It doesn’t matter what you call them. They are basically banjos that play a lot like guitars but still sound like banjos. This Jameson Guitars banjo tunes and plays like a guitar, has a maple neck and mahogany resonator, as well as 24 brackets and diecast enclosed tuners. It’s gotten decent reviews. Some customers have pointed out this banjo isn’t the best quality, but then again you can only ask for so much at the price point it’s being offered. There aren’t necessarily a lot of banjos to choose from in the beginner to intermediate range. The ones mentioned in this guide would be among some of the best you can find (though there are others out there). With that in mind, here are a few criteria worth bearing in mind as you consider which instrument to purchase. In my opinion, playability is bar none the most important factor to consider – especially in the beginner to intermediate bracket. And, banjos being what they are, they are usually good to go out of the box. Some setup may be required, but not a lot. If you aren’t sure, you can always bring your instrument to a qualified tech and have it looked at. Specifically, string height is the main thing to look at. The higher the strings are off the fretboard, the harder it can be to play. This isn’t always the case, so if you can, try playing the banjo for yourself before deciding. Lower string height (or action) isn’t always better, and there tends to be a “happy medium” for many players. It can be worth finding an instrument that sounds good to your ear. I say it can be because you’re only going to squeeze so much out of a $150 instrument. There’s simply no way it’s going to compare to an instrument that costs $1,000 and up. I would save up for a banjo in the $400 range if I was looking for a nice sounding instrument as a beginner or intermediate. Aside from that, look at the reviews and see what people say. If enough people say it’s a decent sounding banjo, it probably is. Most banjos in this range are priced somewhere between $100 and $500, so you shouldn’t break the bank. And, I will say there isn’t much in the $200 to $300 range. 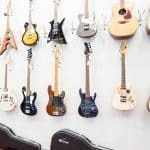 If you think you might need an instrument that you’ll be playing for a long time to come, especially as you continue to improve, then you might want to save up $400. But fundamentally, there’s nothing wrong with a $150 banjo. You might not use it in the studio depending on how it sounds, but for practice and some live performance, there’s no issue. I’m sure Bela Fleck would sound like Bela Fleck no matter what banjo he played. A few extras can be nice for beginners, such as fingerpicks, a case, or a book that teaches you the basics of banjo. But this is not obligatory, and I wouldn’t weigh it too heavily into my decision if I found a banjo I liked, and it didn’t come with any extras. This is not a major consideration by any means, but something worth looking at. Again, this shouldn’t be your top consideration, especially if you’re not intending to spend more than $200. 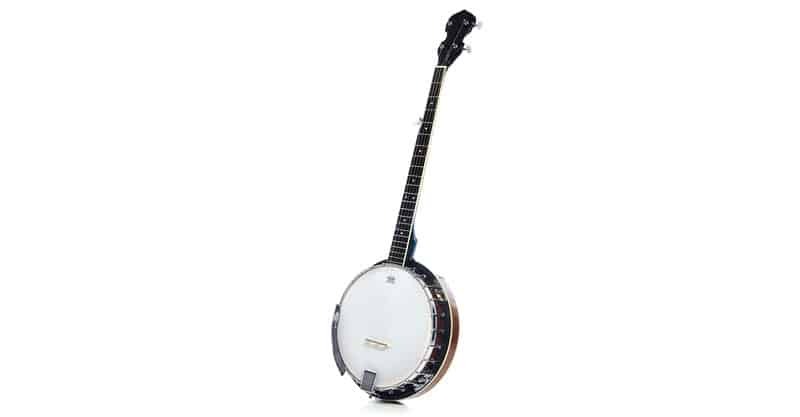 Yes, there are nicer looking banjos if you’re willing to pay $400 and up, but a banjo is a banjo. You can easily begin learning and make progress with $150. All you really need is a commitment to practicing your instrument daily, even if it’s just five minutes at a time. I’ve offered a bit of an explanation of the different types of banjos available to this point. But there is more that goes into a banjo than meets the eye. We’ve already distinguished four-string, five-string and six-string banjos. 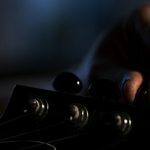 They all have their unique characteristics, and one of the major differences tends to be in how they are played (but as a musician, how you play any instrument is ultimately up to you). You may have seen the term “closed back” earlier in this guide, and if you’re wondering, yes, there are both closed back (resonator) and open back banjos. So, what the difference? 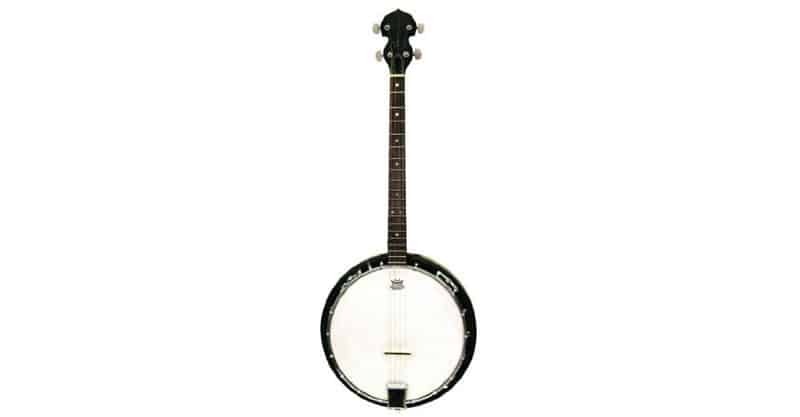 Closed back banjos tend to be louder, heavier, bright, can be used with fingerpicks and are loved by bluegrass players. Meanwhile, open back banjos are a little quieter, lighter and are usually played clawhammer style (without picks). This can be good to know, not just in terms of how quiet or loud the instrument is, but also in terms of what it’s going to be used for. 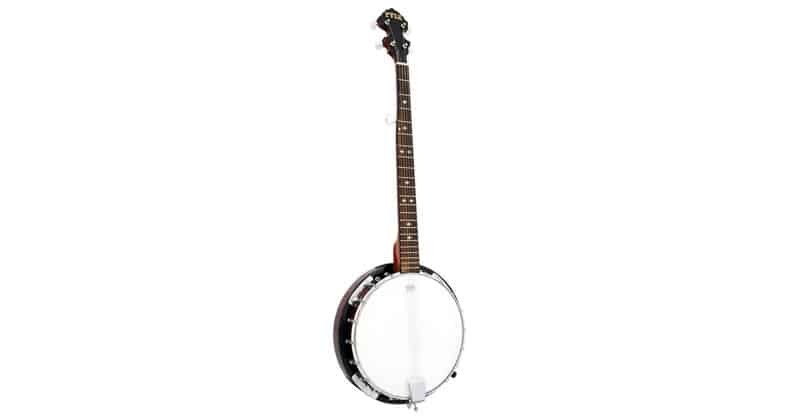 A closed back banjo can more easily be heard in a louder setting, making them good for performing or playing in a band. So, even if you were just to mix and match the criteria already mentioned, it would be plain to see that there are many types of banjos that exist. As a beginner or intermediate player, a five-string banjo is probably a sure bet. 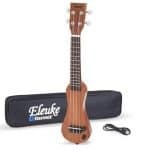 But depending on what you’ll be using the instrument for and what your goals are, you might consider looking into this further and finding a banjo that’s perfectly suited to your situation, whatever that may be. We’ve looked at several four-string, five-string and six-string banjos in the beginner to intermediate range. We’ve looked at what to look for in a banjo when you’re thinking about buying. 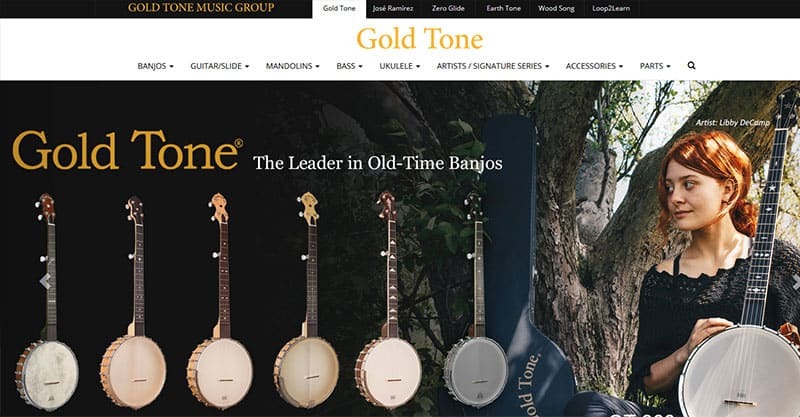 We’ve looked at the different types of banjos and what they make available to you. Armed with this information, you should be ready to make a purchase you’ll be happy with.